Change Agents Worldwide has a unique business model that is in perpetual beta, as our friend and fellow Change Agent, Harold Jarche, likes to say. Everything we do, we do ourselves including all our branding and our web site. Funny thing is, we don’t have a web designer or UI/UX professional in the network. We’ve spent a tiny amount of funds on a couple freelancers, but for the most part, we are boot-strapped and we don’t have a marketing budget. We love that about us. We only answer to ourselves, and we only do things we can afford. Last February, we spent a little money on a photographer to immortalize our first annual dinner. My partner, Joachim Stroh, says hiring that photographer was the best idea I have had so far. (Should I be worried?) Lol. When we launched our web site, we wanted to establish an image of being bold, being different, being courageous enough to tell our story with imagery that would establish our brand. The company is maturing, and today we are well over 50-strong in our network. 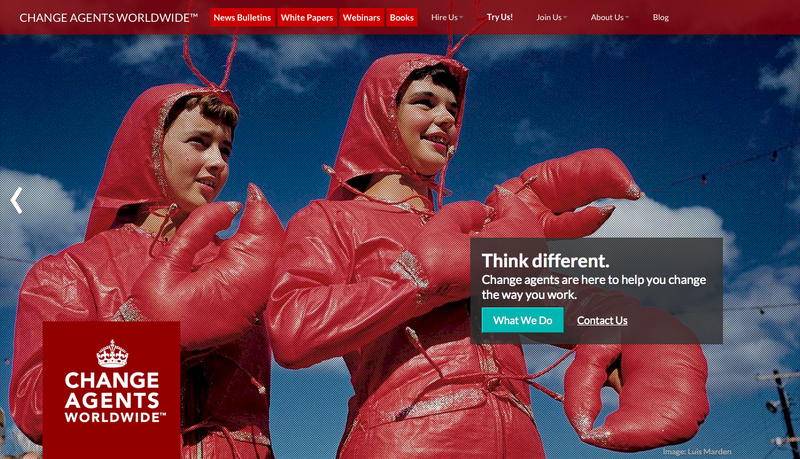 We are now replacing our edgy images of lobster girls, turkeys on the beach, and space travelers that were designed to attract the kind of people who’d be willing to be bold with us. 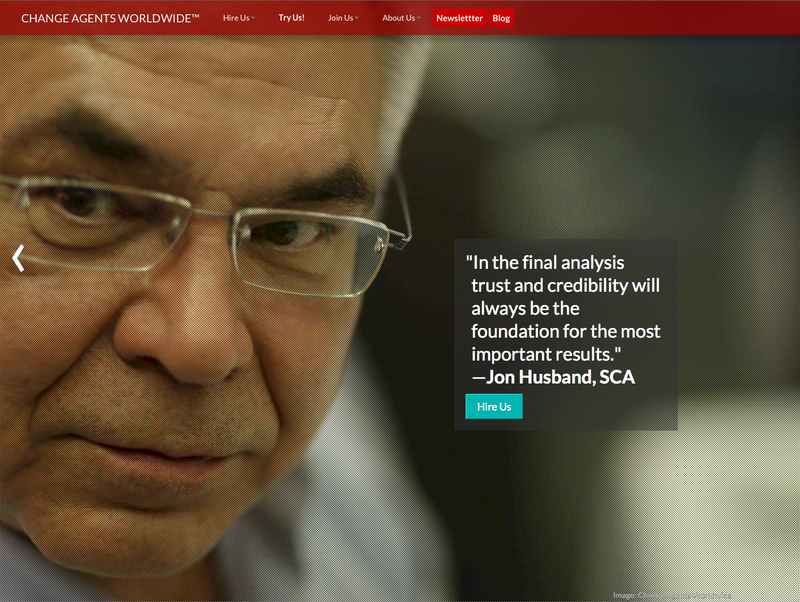 That worked, and we now proudly feature actual photos of our Change Agents with some select quotes. See for yourself. Change Agents Worldwide is not about technology. It’s not about organizational redesign. It’s not about KM practices or e-Learning or Innovation or Change Management. Change Agents Worldwide is about people. People who share what they know about all these things and more with their colleagues to be the change they want to see in this world. The bright people in our network are not ego-less, but our hearts are bigger than our egos. If you want to hang with brilliant, caring people who also want to change the world, join us. Better, if you want to fix what’s broken in the depths of the soul of your company, hire us. If you’re just a little “transformation-curious,” try us. We’re right here on the Web, and we’re always open for changing the world of work. 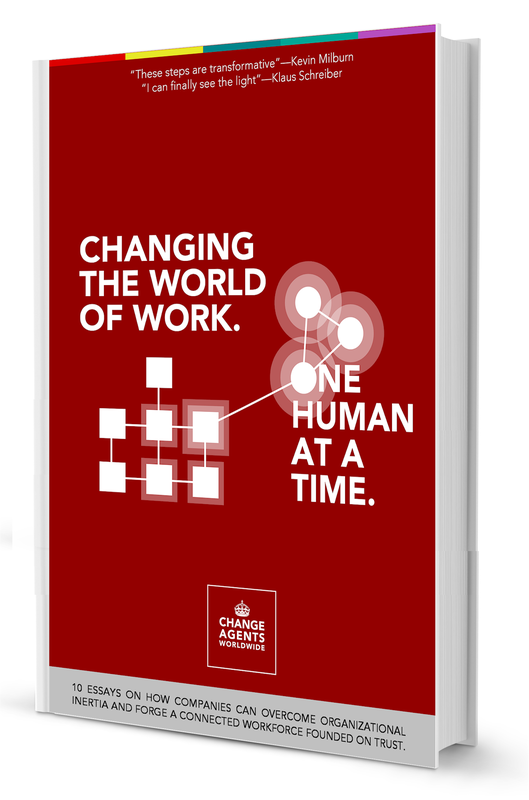 Change Agents Worldwide is in production on its first e-book. Our individual approaches to the market is unique and varied, yet we all share the same core beliefs about how the workplace is changing and what leaders need to do to prepare for that change. Sign up to get a free copy of the e-book once it’s published. We are targeting February 2014. The e-book will also be available on a variety of electronic reader platforms for a small fee.